Your first choice for lawnmower servicing, repairs and sales in Warrington and the surrounding area. 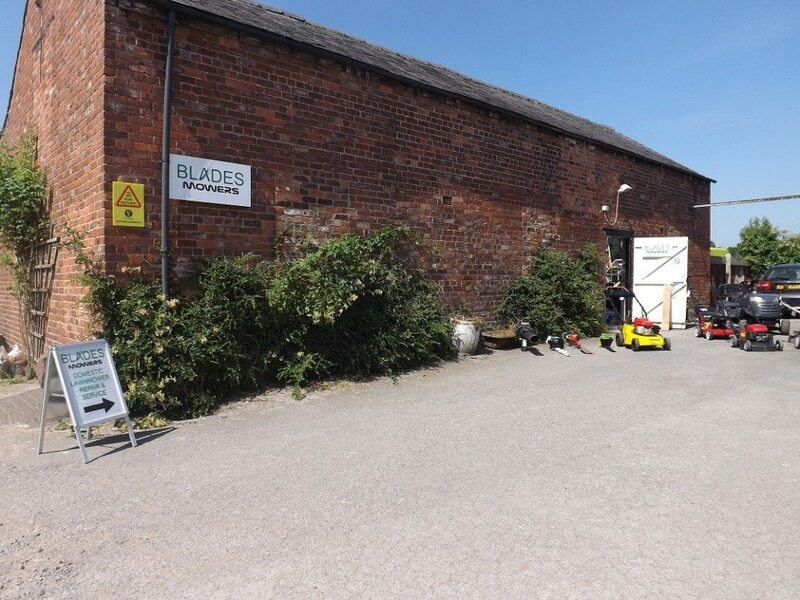 Blades Mowers is a family run business based in Warrington, Cheshire. We’ve built up an enviable reputation over the years based on providing a quality, friendly service and value for money. 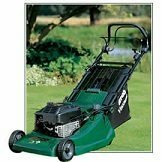 We’ve got the experience to get your lawnmower, strimmer, leaf blower or pretty much any other piece of garden machinery working as it should be. We carry spares for most types of machine and can also supply a wide range of new and refurbished machines. There’s never been a better time to book service for your lawnmower, hedge trimmer, strimmer or leafblower. Blades will ensure your trusty mower is in tip top shape for the coming months. We work with a variety of local businesses and local authorities ensuring that their garden machinery is kept in tip top condition. We’ve been helping maintain Warrington’s green open spaces for years now by ensuring the equipment being used is in great shape. 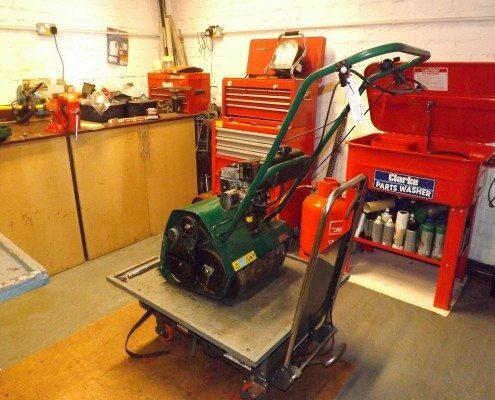 Remember, we also offer a FREE local collection and delivery service of your garden equipment, meaning we can collect your machinery, service it in our professionally equipped workshop and then deliver it back to you at a time convenient for you. We Make Lawnmower Servicing Simple. We won’t bamboozle you with technical stuff when you need your lawnmower or other machinery repairing ( well we might do a bit ) We’ll make it nice and simple. One call to our office and we’ll have your machinery collected, nursed back to health and delivered back to your door in no time. 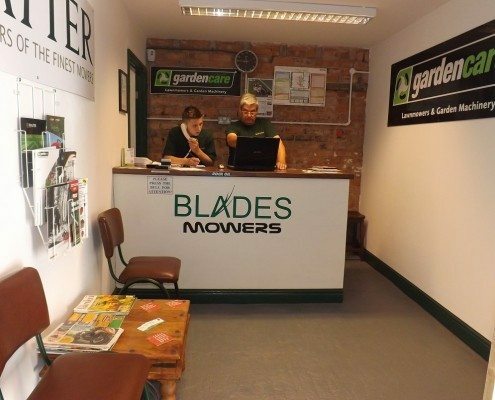 With over 40 years experience in the lawnmower and garden machinery industry, Blades Mowers provides sales, service, repairs and apares to customers throughout the region.Situated in Warrington, Cheshire why not pop into our workshop for a chat if you need any advice regarding your garden machinery? 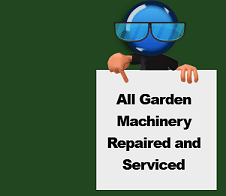 Providing both the amateur and professional gardener with all their garden machinery repair and servicing needs. 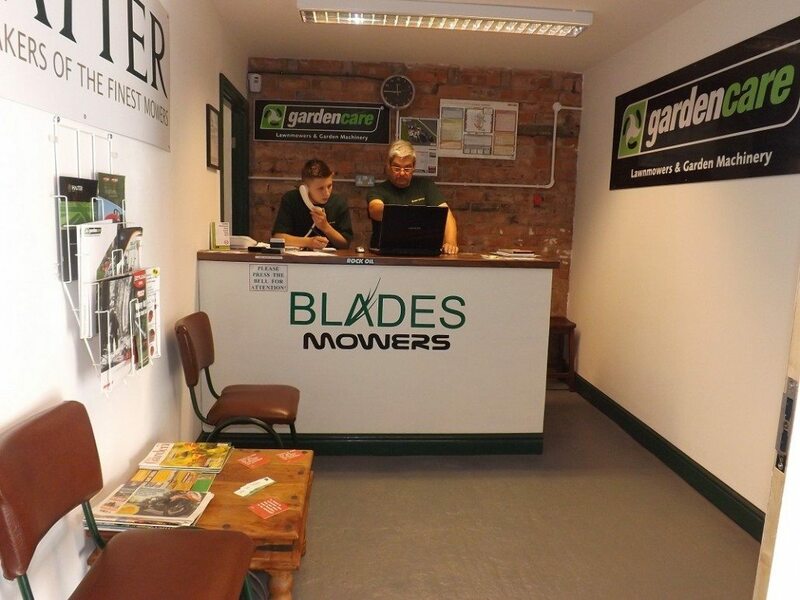 Blades Mowers offer a FREE local collection and delivery service. At Blades we can repair or service machines from variety of manufacturers. We don’t just service and repair lawnmowers at Blades Mowers, we can service or repair most kinds of garden machinery. From leafblowers to chainsaws, strimmers to trimmers we have the knowledge, experience and facilities to get your machine working and keep it that way. We carry a huge stock of spares, which can be purchased direct from our showroom. 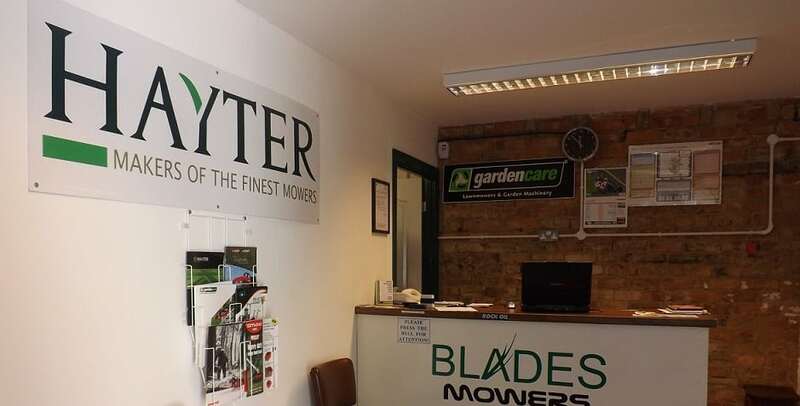 If you can’t get your lawnmower to us then give us a call on 01925 470323 and we’ll have it collected and delivered back to your when we’ve got back in full health, all part of the service. Blades Mowers carries out regular servicing to my lawnmower and I would highly recommend them. A friend recommended Blades Mowers when I need myh lawnmower repaired and I’m so glad they did. Blades collected my ride on mower and delivered it back to us and it now works better than it ever has before. Thanks for getting my lawnmower sorted guys, you did a great job.